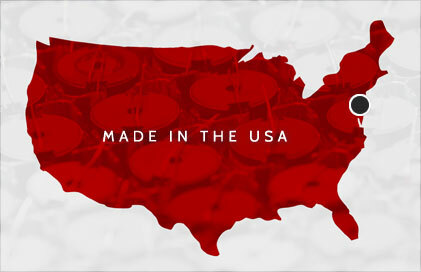 As an American manufacturer in business since 1973, Glen Magnetics has established a reputation for producing high-quality transformers and inductors at competitive prices. Nothing is "off the shelf" at Glen Magnetics; nor are we a storefront for offshore manufacturing. We custom design every transformer and inductor and build them to your specifications in the United States at our plant in Alpha, New Jersey. We 100% computer test each part for strict quality control. With strong supply chain connections, proximity to key suppliers, and flexible manufacturing, we can respond quickly to your unique requirements. When you call Glen Magnetics, you will speak to a live person. When you request a quote from GMI, we work closely with your engineering and purchasing teams to design the most economical solution for your transformer and inductor requirements. Using computer modeling, we explore several design alternatives and ship your prototype in seven to 10 days. Upon first article approval, we begin production immediately. Continuous improvement in our manufacturing processes and the knowledge and experience of dedicated, longtime employees keeps Glen Magnetics competitive in the fast-paced international electronics marketplace. From quicker turnaround times to greater control over the manufacturing process, many companies are realizing the benefits of keeping production close to home. One advantage of working with GMI is our facilities are close to home, reducing lead times and improving production agility. We have seen a resurgence of near-shoring manufacturing to reduce overseas supply chain vulnerability. The benefits are many: a reduction in the risk of idea theft, the ability to fix initial problems more quickly, greater control of the production process, enhanced product quality, reduced shipping delivery costs and quicker turnaround to the customer. Being close to our customers, GMI is more agile and receptive to our customer demand variations. Glen Magnetics acquired Design Transformer, Inc., of Long Island City, New York, and the production designs of Neshaminy Transformer Corp. of Warminster, Pennsylvania. These two key acquisitions brought new capabilities, equipment and customers to GMI's growing business. Glen Magnetics celebrates more than 40 years of success in designing, engineering and manufacturing custom power, audio, ferroresonant, isolation, three phase, high voltage and switching transformers, as well as inductors and coils for use in critical applications around the globe. John and Gwendolyn DiSarro founded Glen Magnetics, Inc., in 1973, taking the name from its initial location in Warren Glen, New Jersey. Eleven years later, GMI expanded and moved to its current location in Alpha, New Jersey and is now managed by second-generation family.